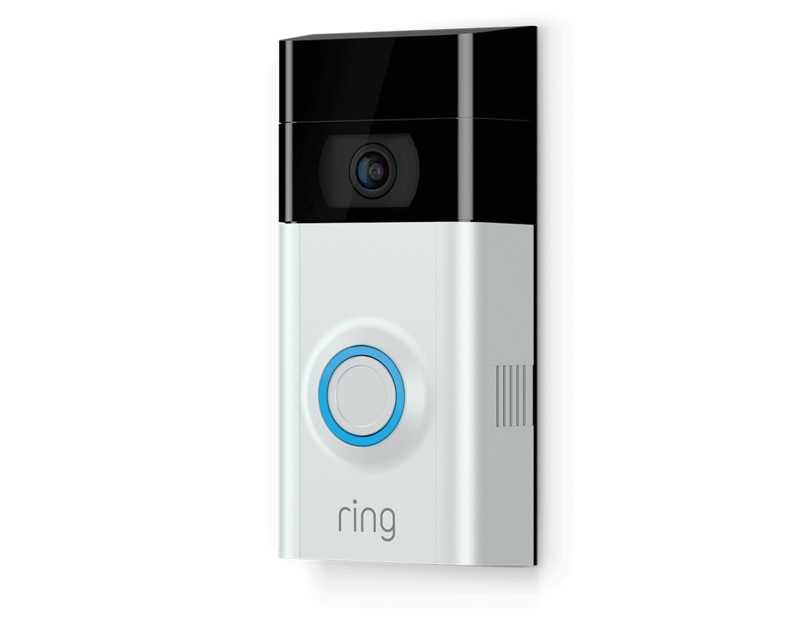 Ring Video Doorbells let you watch over your home and answer the door from your smartphone, tablet and PC. It sends you instant mobile alerts when people press your doorbell or trigger the built-in motion sensors. When you answer the alert, you can see, hear and speak to people on your property from anywhere. 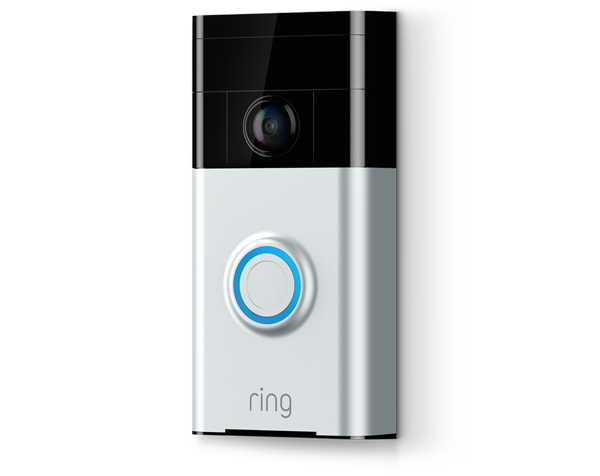 Ring Video Doorbells comes with a free 30-day trial of Ring Video Recording, so you can review, save and share all your Ring videos at anytime, anywhere. 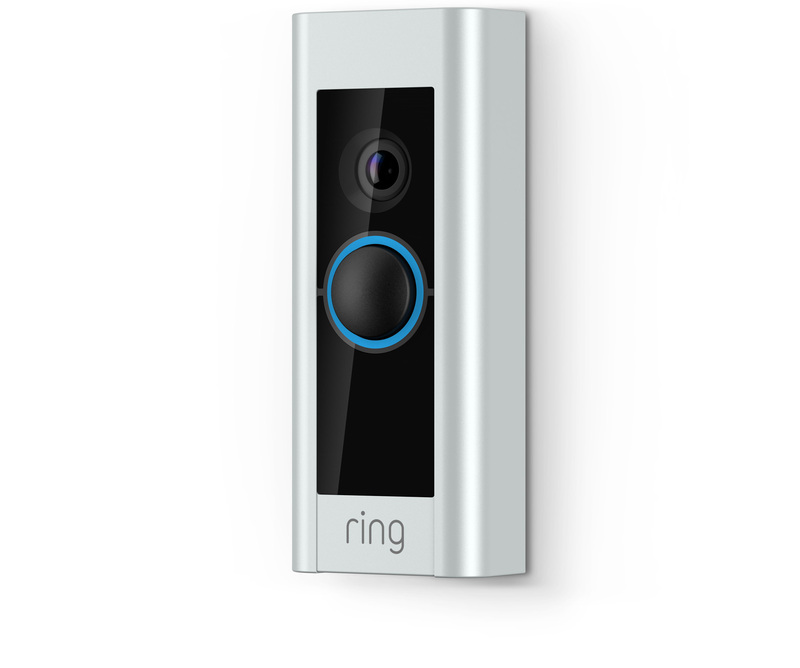 Works on every home – with or without a doorbell. Quick and easy self-install. Get instant alerts when visitors press your Doorbell or trigger the built-in motion sensors. Then use the free Ring app to see, hear and speak to guests from your smartphone, tablet or PC. Watch over your home in crystal-clear 1080HD video, and see, hear and speak to visitors from anywhere. 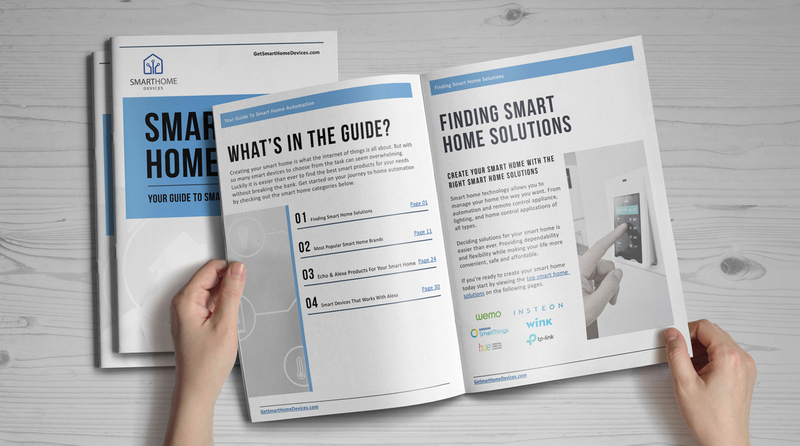 With instant mobile alerts and two-way talk, you can answer the door from your smartphone, tablet and PC. Next-level security and convenience that works on any home and includes a rechargeable battery pack. Ultra slim design with advanced features. 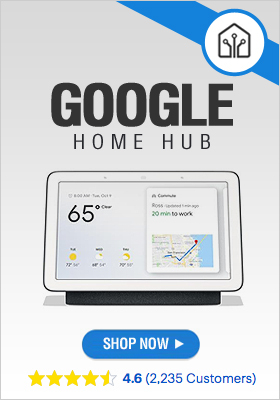 Requires an existing hardwired doorbell. 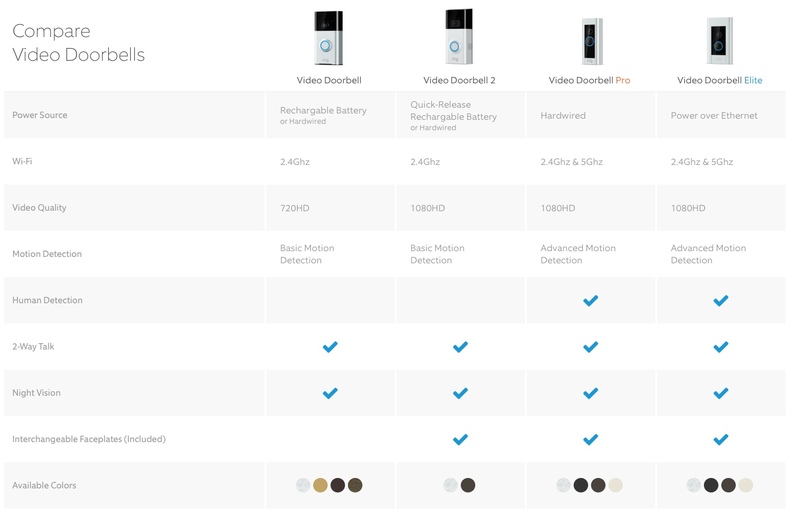 With 1080HD video, two-way audio and customizable motion sensors, the new Video Doorbell Pro is our most advanced doorbell yet. A professional-grade solution with power over ethernet, a flush mount and a sleek design. 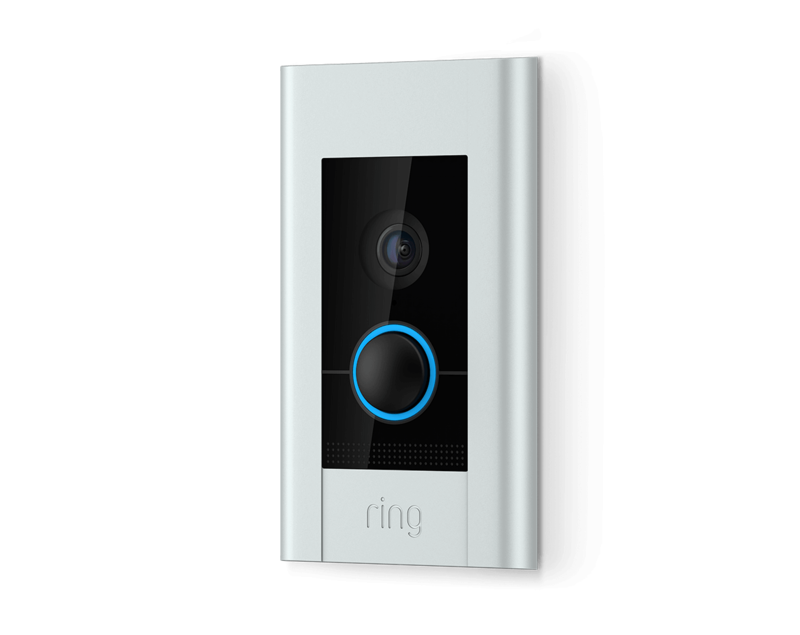 Ring Elite lets you monitor your home, answer the door and greet guests straight from your phone. With instant alerts, HD video and two-way talk, you can see, hear and speak to visitors from anywhere.